As a specialist Breast and Melanoma surgeon, Dr April Wong is highly trained and forefront in her field to discuss and manage all breast and melanoma or skin cancer conditions providing the best standard of care suitable to each patient’s needs. Breast cancer is the most common cancer in women in Australia. In the current era of modern breast surgery, Dr Wong will apply oncoplastic techniques tailored to each individual patient ranging from scar placements, various lumpectomy techniques, to breast reconstruction to ensure the best oncological and aesthetic outcome is achieved for her patients. With the world’s highest incidence of Melanoma in Australia, Dr Wong with her general surgery background and her melanoma specialty training equips her to be an expert in this field. Dr April Wong is a Fellow of the Royal Australasian College of Surgeons since 2012, who undertook her General Surgery training and experiences through the Royal Prince Alfred Hospital and Prince of Wales Hospital network. During her training, she also attained her Master of Surgery from the University of Sydney. Dedicated to being a leader in her field, Dr Wong underwent two years of subspecialty training in Breast surgery including oncoplastic techniques, working with acclaimed mentors from Australia, New Zealand and UK, through the BreastSurgANZ post fellowship program, with further education and training programs by esteemed oncology institutes Scuola di Oncologia Chirurgica Ricostruttiva, in Italy, and Ecole Europeenne de Chirurgie, in France. 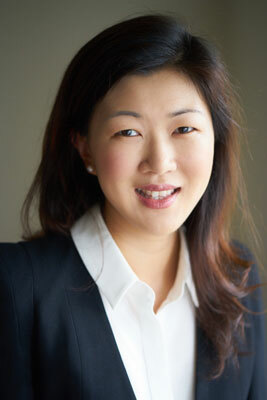 Dr Wong also committed a fellowship year in Melanoma Surgery at the world-renowned Melanoma Institute Australia.